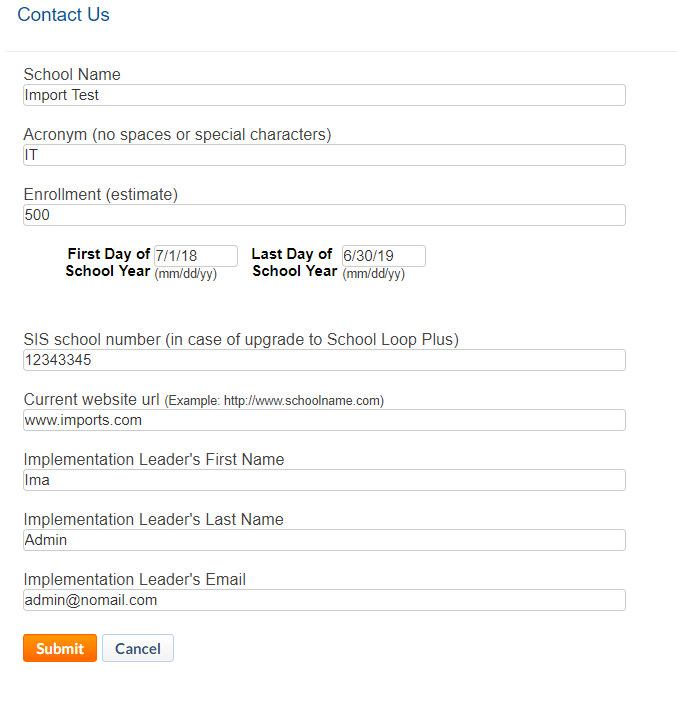 This article shows how to request a new school site. 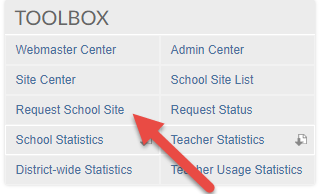 Click the Request School Site link located in the Toolbox section of the portal. You will be routed back to your homepage and the request form will automatically be sent to the account management team who will review and grant the request.